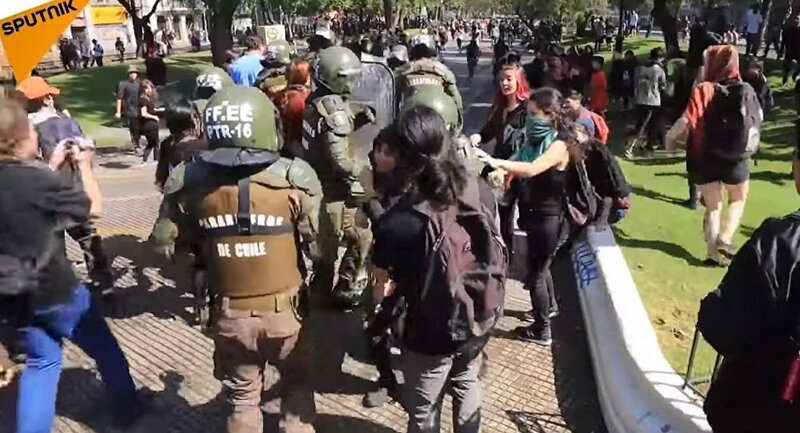 Chilean students protest in Santiago to denounce "profit-making" in higher education. According to reports, there are up to 120,000 participants. The protest, which is attended by students and professors, follows a decision by the country's court to overturn a law prohibiting for-profit companies from controlling universities. "We would prefer to be in the classroom … but unfortunately, we can't do it with dignity because there continues to be profiteering (in education) in Chile," said Sandra Beltrami, a spokeswoman for the students.